1. What type of brush do I need? If you’re using water-based paint, it’s best to choose a brush that has synthetic bristles. Synthetic bristles don’t absorb water, which means the paint flows through the brush better, allowing you to avoid heavy brush marks. Made of nylon, they last up to five times longer than natural bristle brushes and also are much easier to clean. 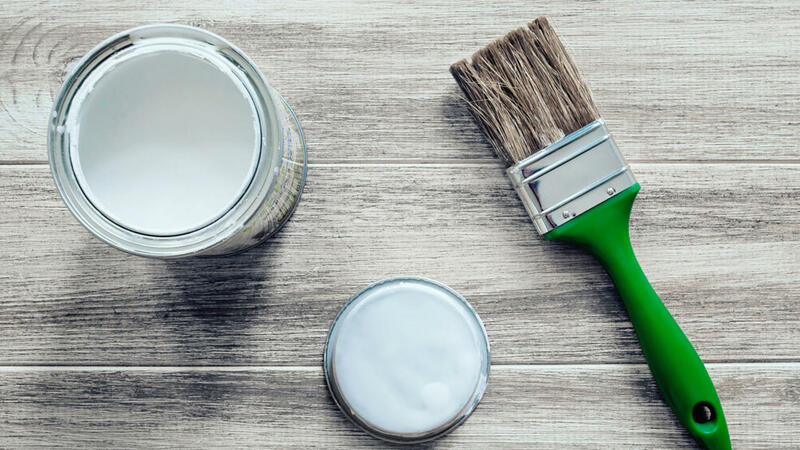 Solvent-based paints work well with either natural or synthetic brushes – but if you’re looking for a very matte finish, we recommend you choose a natural brush. The split ends of natural bristles will help you to produce a clean, flawless finish. 2. What size brush do I need? As a rule of thumb, the larger the area you’re painting, the larger the brush you need. Brushes larger than 7cm are ideal for painting large, flat surfaces, such as doors or kitchen cabinets. Smaller brushes (often called trim or sash brushes) can range from 1.25cm – 7cm and should be used when painting skirting boards, window frames and architectural moldings. If you’re painting a tight space, choosing a brush with tapered bristles will help you get into corners and grooves with ease. If you’re using a brush to ‘cut in’, we recommend you choose an angled brush with one side longer than the other.